A small list of possible day and overnight trips from Granada. There are so many small towns and cities, both in the mountains and around the coast, that you should have plenty of choices to consider. For the closest cities of Cordoba, Almeria and Seville there is the option of the train. Although I would not recommend Seville as a day trip because of the length of the journey as well as there is so much to see! There are more times to choose from when you take the bus, and the bus is the best and only way to get to a lot of the smaller towns if you don't have a car. 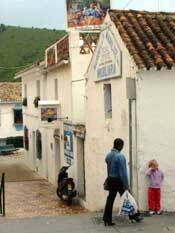 As with most places in Andalucia, there are tons of charming towns to visit so take your pick and that head out! 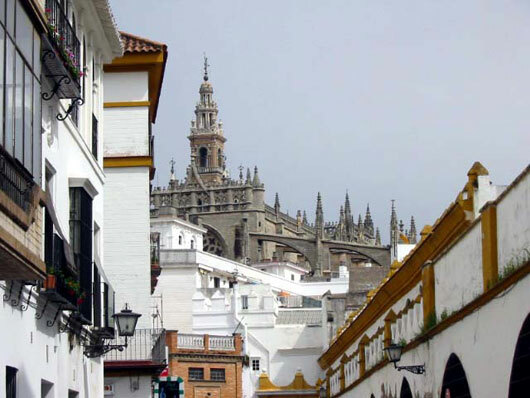 The most visited city in all of Andalucia, and for a good reason. Seville has one of the largest historic city centers ("old town" if you will, a term which I just don't like!). The number of sights and monuments is longer than most cities in the rest of Spain, but a few stand out: The Cathedral, Reales Alcazares, Barrio Santa Cruz, Plaza de España...well it is a long list. Seville is also famous for it's nightlife and incredible number of bars (about 12,000). While tapas are often free in Granada, they cost something in Seville. But Seville has so many more tapas bars and restaurants to choose from that you won't be disappointed. I could mention more, but it is best to visit my web site dedicated to Seville, Exploreseville.com. As well, my other web site dedicated to accommodation, activities and more: sevilla5.com. 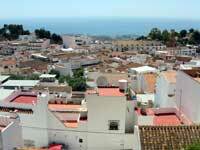 I can offer less information on Málaga as I spend a day or so there every year, but never with enough time to visit. 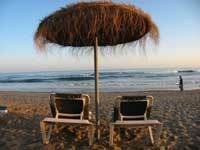 Malaga is often a starting place to hit the beach, with most people heading to Torremolinos, Marbella or other beaches in the province of Málaga. The center of the city is the best place to be in my opinion. We stayed in an NH hotel mainly because there was a reduced price and we were heading to the airport in the morning. I do not recommend this hotel if you want to see Málaga itself, as it is further from the center. 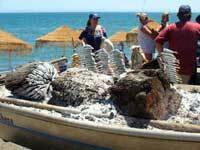 To eat there are a few well known places on the beach where you can get fresh seafood, including sardines roasted over a fire. There is a nice pedestrian shopping street in the center of the city, with a few good restaurants tucked away close by. For sights the Alcazar located on the hills above is a great visit and provides views of the city and surrounding beaches. On a trip through the historic center you can take in the cathedral and other buildings. There is also the new Picasso Museum. More information is coming soon, or rather coming when I get back to Málaga. If you will be driving to Seville from Marbella, I highly recommend going through Ronda. Use A-376 which takes you from Marbella to Seville and through a natural park, mountains and plenty of scenery. The road itself is in good shape. Ronda and Grazalema are both worth a stop. On your way out of Marbella there are some great views of the ocean from the mountains with plenty of places to stop and take pictures. Part of the natural park you pass through has almost a lunar landscape. This route takes longer than the highway from Marbella/Málaga to Seville, but if you are traveling you will appreciate this over a 4-lane highway to Seville. 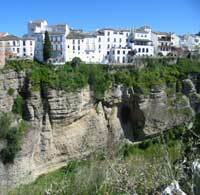 Ronda is a great stop for an hour, two or more.